Police have fulfilled their promise to prevent unauthorized rallies in Moscow and St. Petersburg, detaining several opposition leaders. 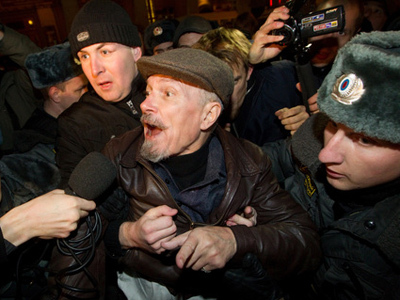 ­On Thursday evening, police in downtown Moscow detained several activists including Eduard Limonov and Sergey Udaltsov. Another opposition leader, Boris Nemtsov, was detained along with protesters in St. Petersburg. As usual, they were supporting Article 31 of the constitution that guarantees freedom of assembly, by trying to gather on Triumfalnaya Square, as they do at the end of every month that has 31 days. Opposition groups have already held several such events, largely unauthorized, which have resulted in clashes with police. On Thursday, only several people attended the rally on Triumfalnaya, RIA Novosti reports. Prior to the rally, police warned they would detain participants of the unauthorized gathering. 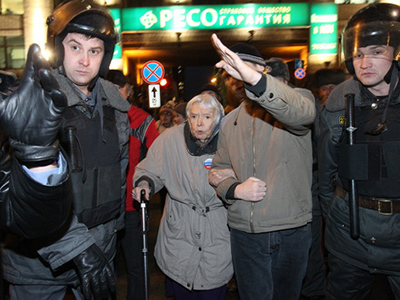 The Moscow Mayor’s Office had permitted a rally on Pushkinskaya Square on March 31, organized by the head of the Moscow Helsinki Group Lyudmila Alekseeva. Viktor Biryukov, the chief of Moscow police’s public relations department, promised that officers would direct people who arrived at Triumfalnaya Square unaware of Alekseeva’s rally, to Pushkinskaya. But Limonov and his supporters intended to hold an unauthorized rally at the usual venue for the event – Triumfalnaya Square. He was offered several other sites, but “preferred to seek conflict with the authorities and law enforcement agencies,” Biryukov was quoted by Itar-Tass as saying. On the eve of the action, police searched the office of Limonov’s Strategy 31 initiative in Moscow and detained four people who were later released. A spokesman for the opposition Other Russia movement Aleksandr Averin said it was unclear why the office was searched. He described the action as an attempt “to intimidate” opposition activists who were gearing up for the unauthorized rally on Triumfalnaya. March 31 may become a watershed in the history of these rallies after Alekseeva, one of their main organizers, invited her supporters to Pushkinskaya Square for a sanctioned gathering. 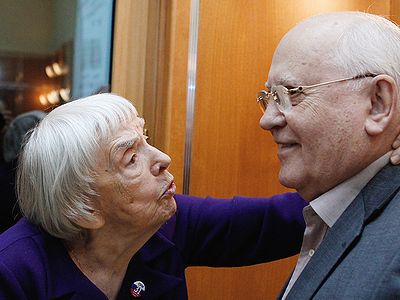 She argued that there are other articles in the Russian Constitution that should be supported. Her rally on Thursday was devoted to fair elections. For Limonov and his followers, Triumfalnaya Square still remains a symbol of the struggle for freedom of assembly. He rejected proposals in the past to rally at other venues and did the same on Thursday. The politician and writer always insisted that more people should be allowed to take part in the gatherings, which invariably became the main reason for the ban. Now the Strategy 31 initiative may become the only organizer of events on Triumfalnaya – with a predictable outcome. 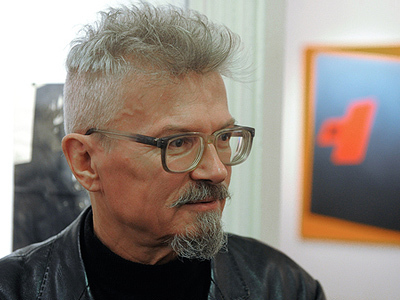 But Limonov is unlikely to give up on the idea.